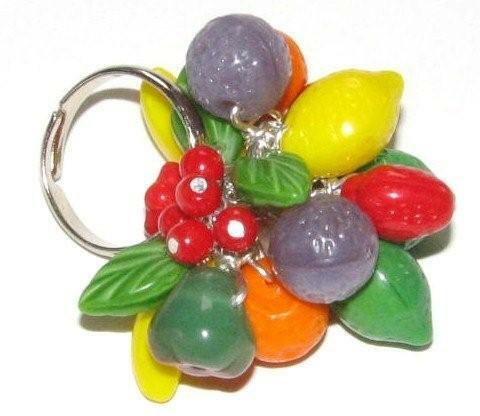 Heavily beaded fruit cluster ring made with variety of glass fruits, leaves, and flowers with each bead individually hand-wired onto sterling silver or gold filled ring (size 7) with engraved Julia Bristow tag. 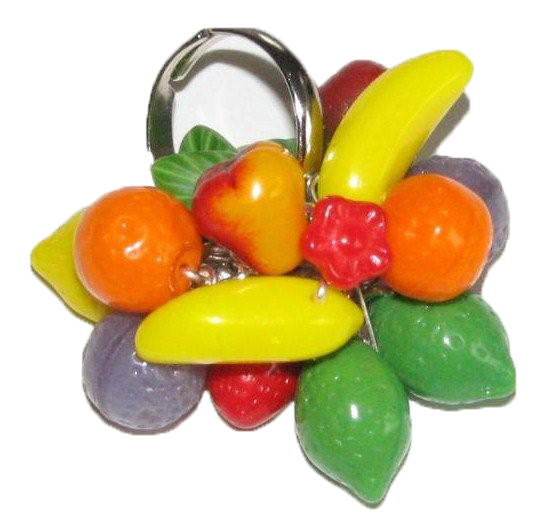 Please note item shown is sample and each is custom made at time of order. Please allow 2-4 weeks for delivery, and specify gold or silver.